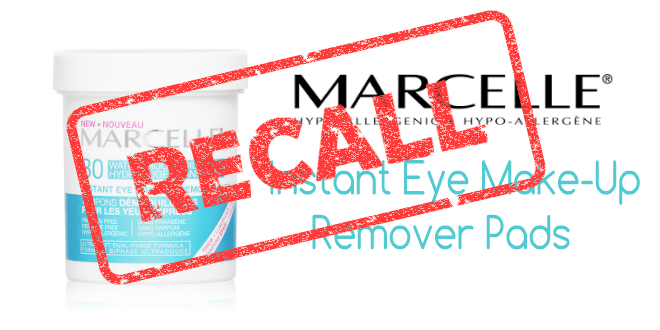 Groupe Marcelle Inc. recalls Marcelle Instant Eye Makeup Remover Pads. Quality control inspections discovered that some Marcelle instant eye makeup remover pads may be contaminated with mould. There have been no reports of injuries or incidents. If you have this product (lot numbers (L)15J1394, (L)15K1394 and (L)15L1394) you can return or exchange it by contacting Groupe Marcelle Inc. Approximately 23,050 were sold in Canada between December 9, 2015 and February 15, 2016. Click here for more information on Marcelle’s recall.